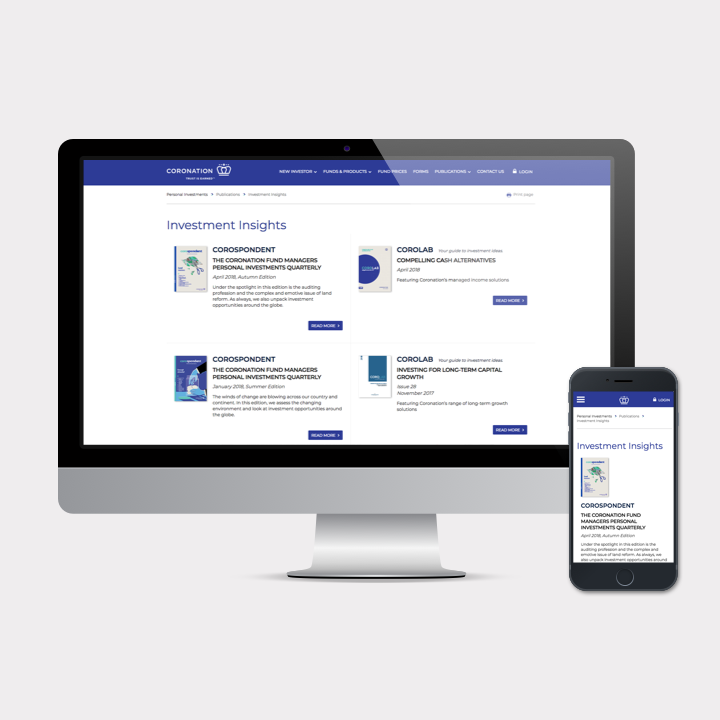 Recognised as a world-class investment management company, Coronation were looking to implement a best-in-class content management system (CMS) for their web and digital offering. Coronation selected Episerver CMS and Bluegrass to deliver the solution. The initial project objective was to re-platform the current website onto a new CMS and, perhaps even more importantly, rebuilding the website to meet their current and future requirements. As part this process, we were to create a digital style guide to ensure brand and style consistency across the new website. 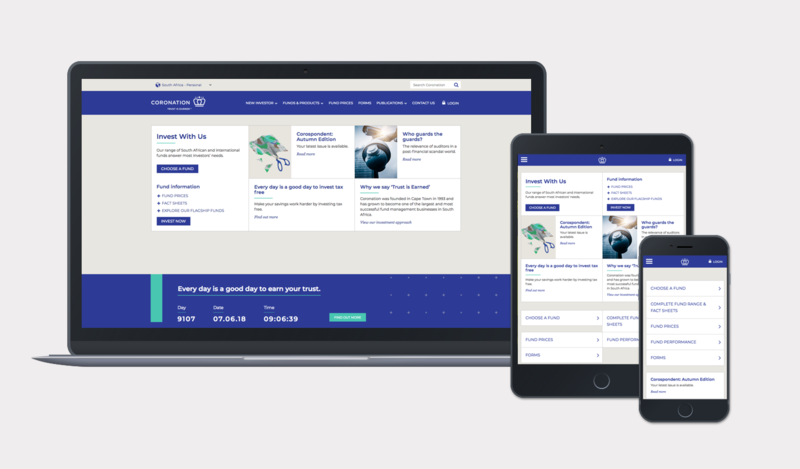 The new website now provides a consistent brand experience delivering a intuitive navigation and user experience across the website. Episerver’s CMS offering was the obvious platform of choice with its easy-to-use content management interface allowing editors to easily select templates, add content and manage site controls. The powerful publishing workflow allows for distributed content management roles. We rebuilt the UI front-end with a unified and consistent style guide to ensure brand consistency across the templates and improved performance. 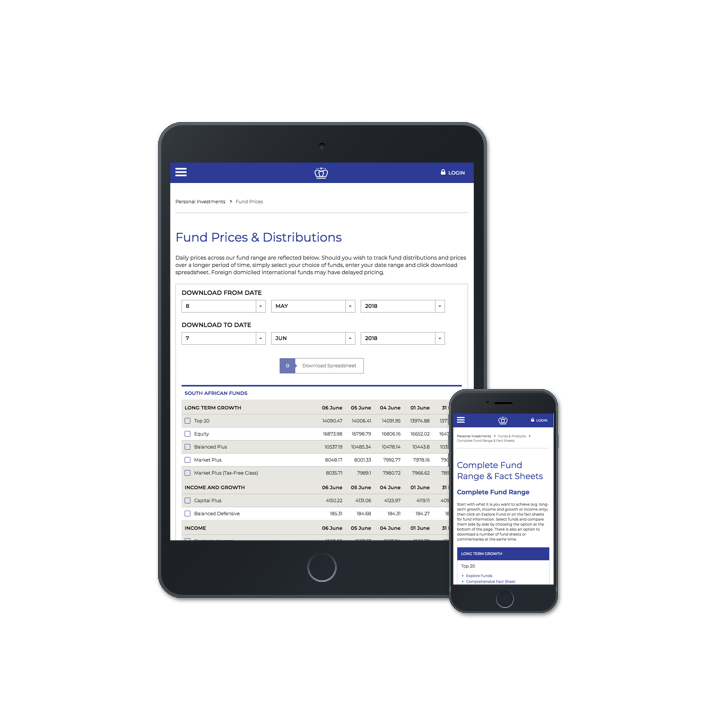 As part of this process we created a full digital style guide to give them the consistency they needed for future digital campaigns when working with various agencies. Episerver now provides the platform to enable Coronation with their ambitious Omni-channel business strategy. Episerver will provide them with the tools to drive personalisation using built in AI and machine learning capabilities giving the potential to provide a personalised user experience for new and existing customers.